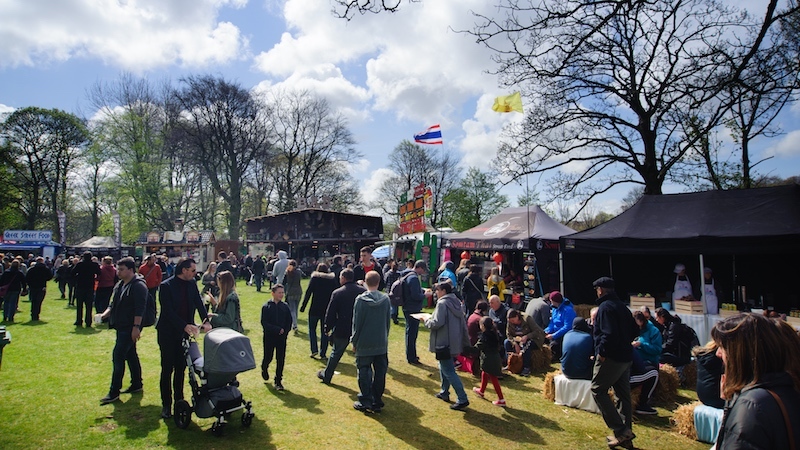 A pop-up vegan and vegetarian cookery school is set to come to Merseyside as part of Liverpool Spring Festival, which will take place in Sefton Park from 28 – 29 April. The pop-up cookery school is designed to show people easy ways to satisfy junk food cravings using plant based ingredients. 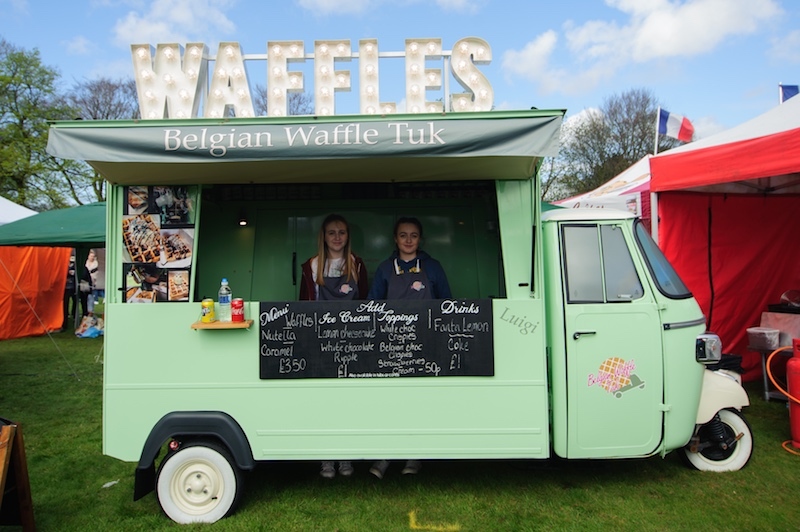 During the hands on sessions, experts from the Vegetarian Society will be giving people the chance to create their own vegan and vegetarian versions of classic comfort foods such as ‘mac ‘n’ cheese and breakfast fry ups. There will also be a step-by-step guide to preparing the hipster street food staple ‘jackfruit kebabs’, which has been described as a tasty vegan alternative to pulled pork. As well as the pop-up cookery school, visitors of all ages can also expect a fun packed weekend, which includes a whole raft of interactive workshops on everything from gardening to yoga, a producers’ market, a vintage fairground, DJ sets and a huge selection of tasty food and drink. There will be lots to keep young animal lovers busy with birds of prey, mini beasts, a pop-up farm, donkey rides and an entertaining sheep show, which is guaranteed to make the audience smile. There will also be children’s arts and crafts and storytelling sessions throughout the weekend. Sam Platt, Cookery School Manager at the Vegetarian Society, said: “The vegan and vegetarian cookery sessions are geared towards all ages and abilities and they are suitable for people looking to try something new, as well as those who already follow a vegan or vegetarian diet. Anyone can sign up to take part. Isabella Kantor, Liverpool Spring Festival Event Manager, said: “We are always looking to bring exciting new activities to Liverpool Spring Festival and with the vegan junk food scene becoming so popular, we thought a pop up vegan and vegetarian cookery school would be a perfect addition this year. 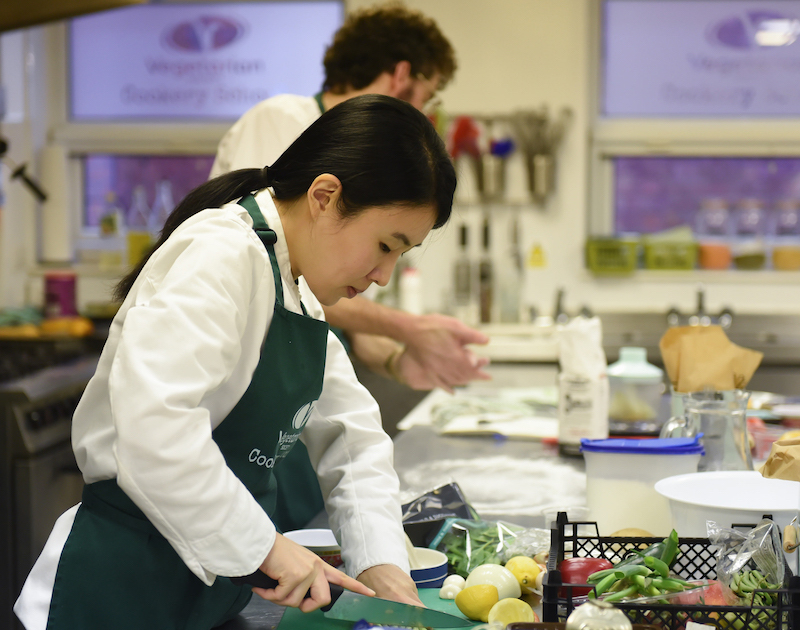 The pop-up vegan and vegetarian cookery school forms part of a dedicated ‘Healthy Living Zone’ at Liverpool Spring Festival, which also includes yoga, guided meditation, relaxation, stress-busting massages and family exercise classes. Sessions cost £5 and places must be reserved in advance. All ingredients will be supplied at the start of each session and participants will be able to take away the food they prepare afterwards. General admission to Liverpool Spring Festival starts from £7 and entry for children (under 14) is free. Visit www.liverpoolfoodanddrinkfestival.co.uk for tickets and further information.